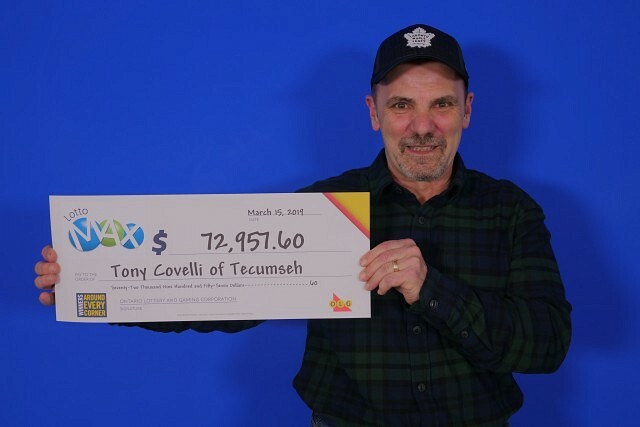 Tony Covelli of Tecumseh has won $72,957.60 in the March 1st, 2019 Lotto Max draw. The married father of three and grandfather of one plans to pay off some bills and get something nice for his grandson. “This win gives me a little extra cushion for my upcoming retirement,” Tony concluded.